They're the toughest hardwood - by a mile. 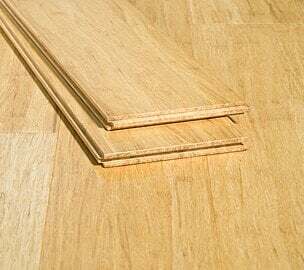 Strand woven bamboo floors are 2-3 times harder than traditional hardwood flooring. 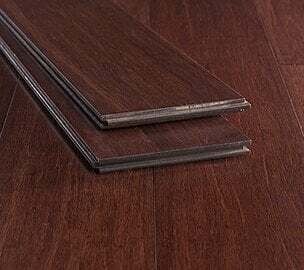 This means they stand up incredibly well to kids and pets, are suitable for kitchens, and rarely if ever need to be refinished in a residential setting. They're very eco-friendly. 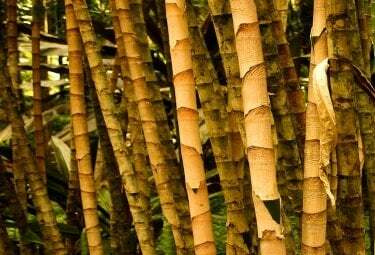 Bamboo grows extremely fast - which makes it a rapidly renewable resource that's great for building materials. In fact, some species grow up to 3 feet per day! They're affordable. 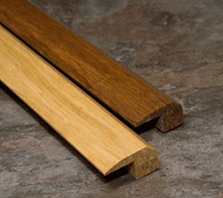 You can get premimum wide planks at half the cost of traditional hardwoods, without sacrificing beauty. 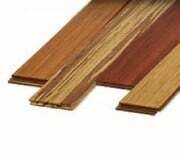 Our discounted bamboo floors come in over 30 colors and styles, including hand-scraped, engineered, click-lock floating floors and more. 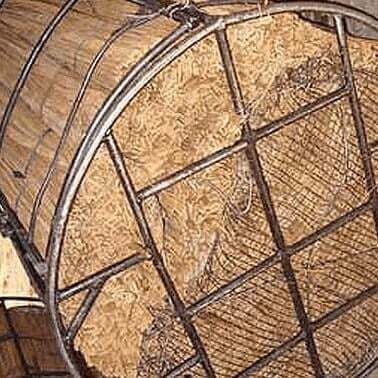 Testing shows that strand bamboo is the hardest wood on the market, and stands up to pets and kids. 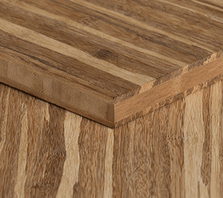 Made from a rapidly renewable resource, re-harvested every 5 years versus 40-80 years for hardwoods. Our floors can be refinished at least twice although it's rarely needed in a residential setting. 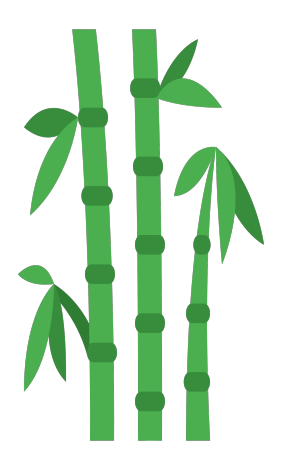 Bamboo is easy to clean, cutting down on allergens and dirt. With 24-hour spill protection, it's great for kitchens. Bamboo has a distinctive and unique marbled grain that is beautiful, inviting, and warm underfoot. 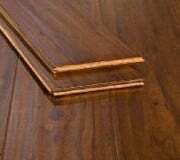 All of our flooring comes in wide planks and premium lengths and costs just	$3-$5 per sq ft shipped. 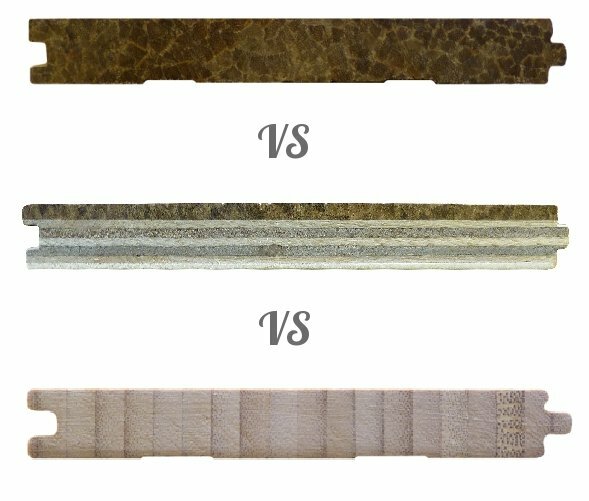 Ambient® finishes meet the strictest indoor air standards in the world, such as CARB Phase 2. Available in styles like click-lock and T&G, can be installed over concrete, in basements, and more. 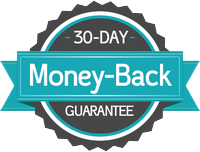 At Ambient we offer customers in the U.S. and Canada a 30-day money back guarantee on all flooring orders and we are dedicated to your complete satisfaction. If you are not satisfied with your floor you may return your order within 30 days of delivery.Terms & Conditions. No Payments No Interest if paid in full in 6 months on purchases of $99 or more! More time to pay for what you need today. 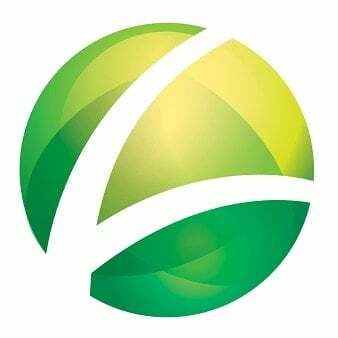 We're proud to have been a leading bamboo flooring supplier of Lacey Act-certified hardwood eucalyptus & bamboo floors, since 2005. 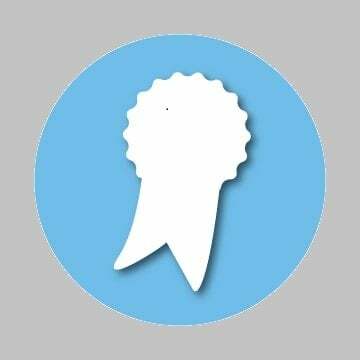 We are A+ certified by the Better	Business Bureau and committed to customer service excellence and product quality. 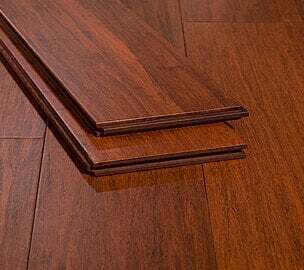 If you're looking buy bamboo flooring that	combines beauty, sustainability, durability and value, you can count on Ambient® - the world's best-reviewed bamboo	floors. 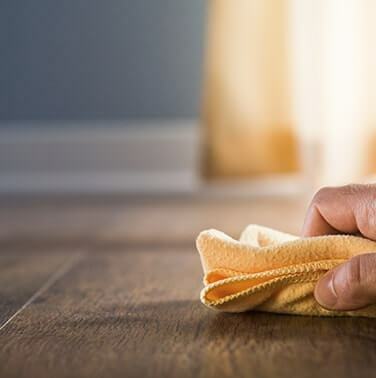 All of our floors are coated with our super-tough Accuseal® Finish System and backed by an industry-leading lifetime structural and finish warranty. 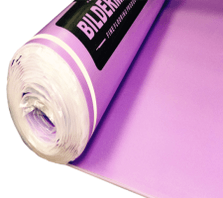 We strive to ensure that our products meet only	the highest standards in milling, appearance and safety. 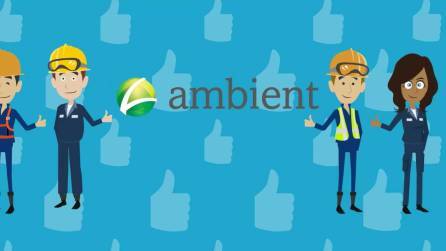 Ambient® is known around the world as being synonymous with quality. 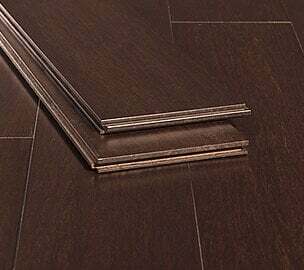 This is a result of our meticulous quality control process, which is which is unparalleled in the bamboo flooring manufacturing industry. Making a responsible choice for the environment doesn't mean having to sacrifice quality or	style. 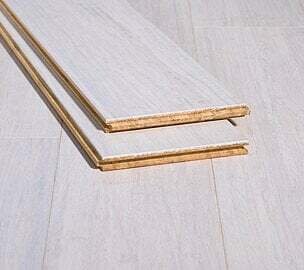 The unique marble grain of strand bamboo and eucalyptus flooring	is beautiful and distinctive. Our floors have been used in a multitude of settings and match with any decor, adding a classic or contemporary	accent that won't go out of style. 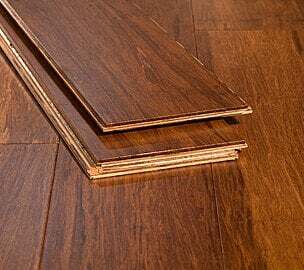 Strand bamboo & eucalyptus floors are much harder than hardwood floors so they're resistant to denting, high	traffic, and most anything else an active family can throw at them! 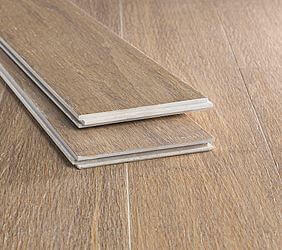 We know purchasing new flooring is an important decision - one you're likely to	enjoy for years, even decades to come. That's why we're making it easy to find the products that suit your unique personality. 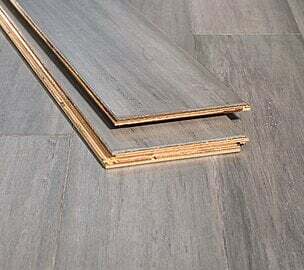 Surf	around our informative website and order free samples	or contact one of our bamboo floor experts via live chat or telephone if you have any questions.